Hi everyone and welcome to a new month with Joy Clair stamps. This month is all about water coloring. There are so many ways you can water color your creations - don't think just paint and water! 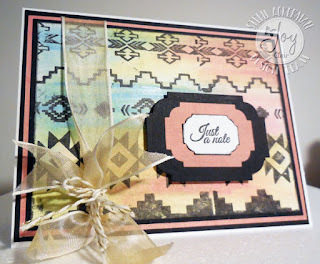 Today, I'm using the new Aztec Background stamp set which I think is perfect for creating backgrounds. I used an assortment of Gelatos with a baby wipe to create my background. Please stop by the Joy Clair blog for full details and to see another card I created with this set. 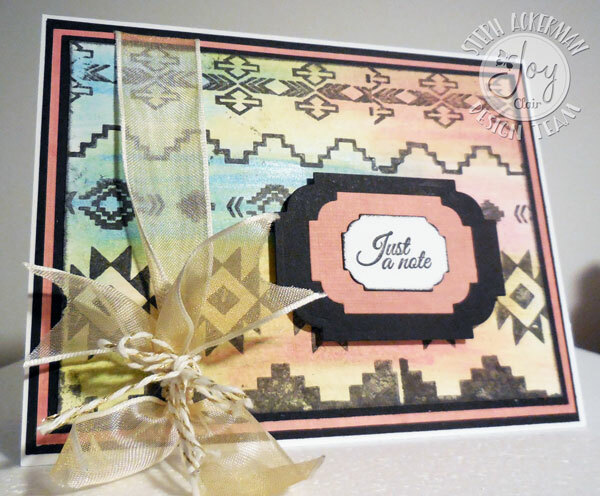 Such a neat stamp and the colors you picked are perfect with it! Really fun! Thanks Heidi, it is a wonderful stamp. What a beautiful background! Thanks for joining us at Happy Little Stampers Watercolour Challenge!